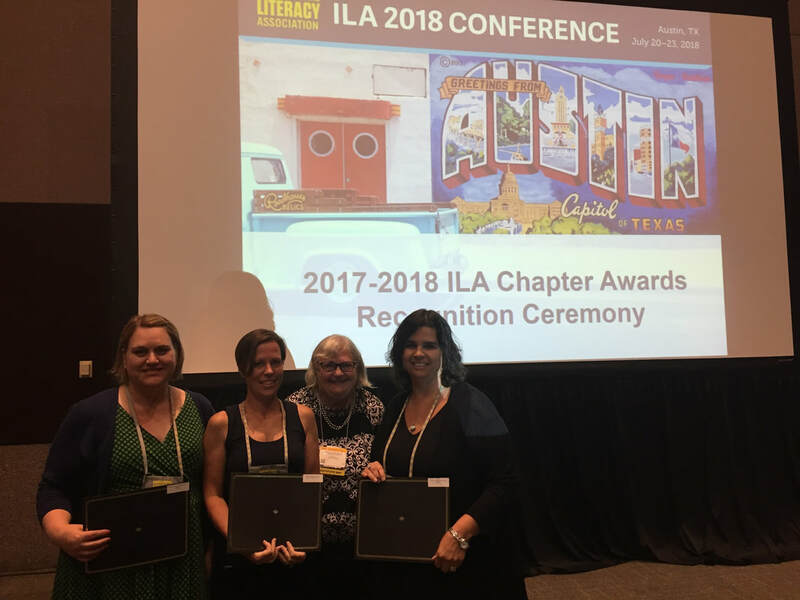 ​Congratulations to the Manitoba Reading Association, the Reading Council of Greater Winnipeg and the Pembina Escarpment Reading Council who all received ILA Honour Council Awards at the 2018 ILA Conference in Austin, Texas in July. Pictured are: (left to right) Leslie Dickson (RCGW), Shelagh Deacon (MCRC), Carol Hryniuk-Adamov (MCRC, RCGW, MRA), and Lisa Carlson (MRA, PERC). The Manitoba Reading Association is honoured to recognize Manitobans each year with the MRA Crocus Literacy Award for Administrators and the MRA Crocus Awards for Literacy Advocacy. MRA also awards the International Literacy Association's Celebrate Literacy Award. Congratulations to our 2018 award winners! See our winners page for details. This award will be presented to a person(s) other than a literacy educator who advocates for literacy within a local council’s region. Each council may nominate a candidate outlining their advocacy of literacy in the region. The nominee’s belief regarding the need for literacy in the community. The nominee’s leadership role taken to promote advocacy. The nominee’s contribution for literacy advocacy. Specific examples of the advocacy. The Celebrate Literacy Award recognizes organizations, institutions, and individuals who have made significant literacy contributions at the local, state, or provincial level. We hope the celebration will familiarize the public with literacy activities in the community and call attention to the work that is being done by the schools and the International Literacy Association to promote literacy worldwide.